My Popsugar Must Have Box for October arrived yesterday! I'm always so excited to get this box each month. I know I looked at spoilers much earlier in the month, but I couldn't remember what was in this box, so it was kind of a surprise opening it this month. I couldn't wait to see what was inside! Popsugar Must Have always includes an information card explaining everything in the box for the month. October's inspiration was Autumn, Restful Nights, Cozy, Irresistible, and Breast Cancer Awareness. 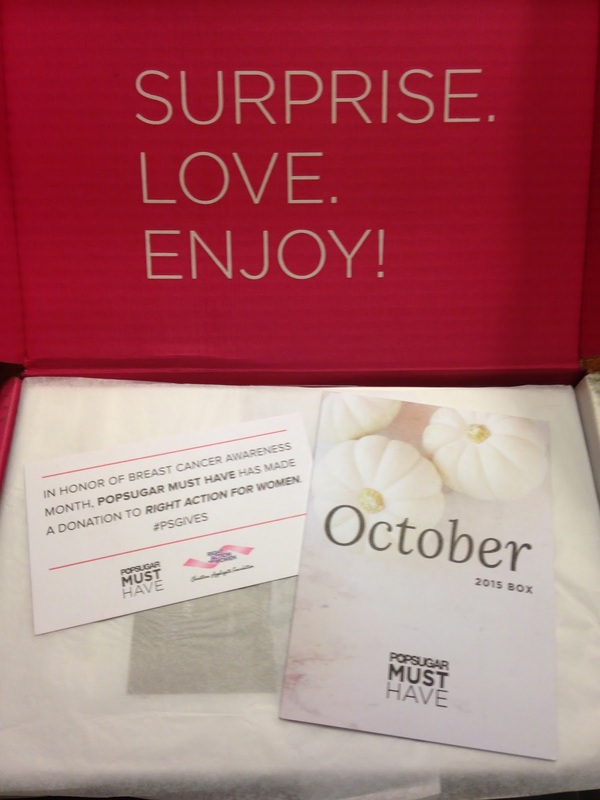 In honor of Breast Cancer Awareness Month, Popsugar made a donation to Right Action For Women. Here is a peek at everything included in this month's box. 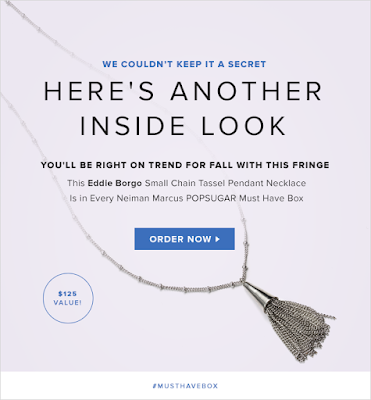 When I opened the box, I remembered Popsugar Must Have released 2 spoilers for this month's box, so I already knew quite a bit of what was in this month's box. The first spoiler that was released was "Why Not Me?" 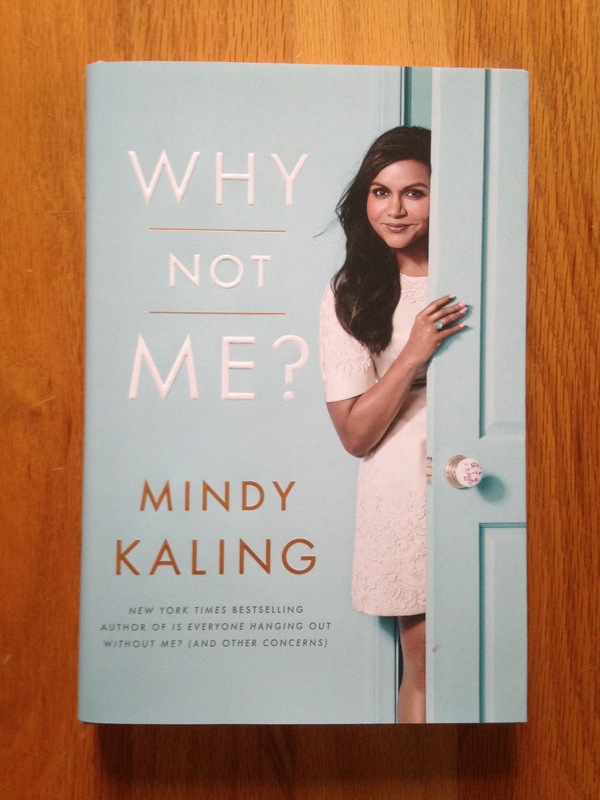 by Mindy Kaling. I also own Mindy Kaling's first book, so I was happy to get her second book in this box. This book is a collection of essays that are laugh out loud funny. That is definitely my kind of book! Short stories are perfect for me, because I have a habit of starting a book and taking a really long time to finish it. If it's funny it will keep me interested too. I'm looking forward to reading this throughout our rainy Fall season. The next spoiler that Popsugar Must Have released was The Honest Company Sea Salt + Sugar Body Scrub. I love body scrubs, so I was happy we'd be getting this. 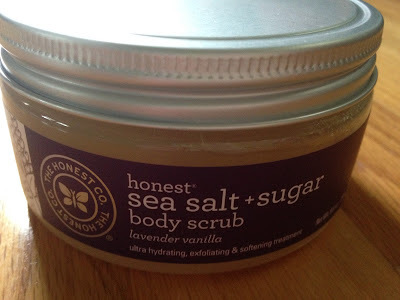 I haven't tried this yet, but I have tried other bath products from The Honest Company and really liked them. I'm sure this will be great. I can't wait to take a bath and relax and use this! 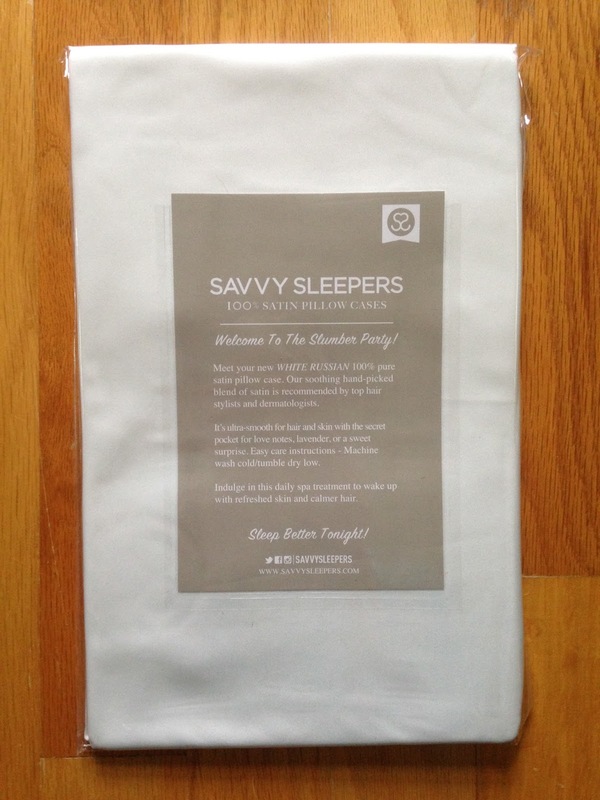 I also received Savvy Sleepers Luxury Satin Pillowcase. This is 100% satin and prevents sleep wrinkles, reduces hair breakage, and protects salon blowouts. 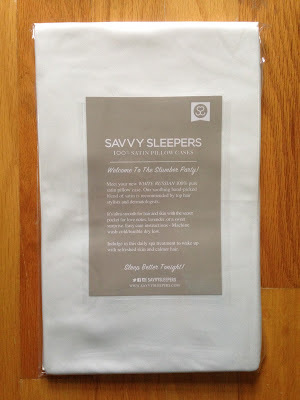 I own other satin pillowcases and like them. This is white, which I wouldn't normally purchase for bedding, but I will use it. This was the most expensive item included in the box and wasn't too exciting in my opinion, which made it slightly disappointing. Another item included was Easy, Tiger Brown Paper Liquor Bag set. These are nice for the holidays, which are coming up quickly. 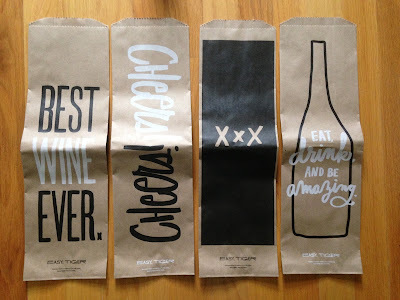 I will use these to bring wine to houses we are invited to. It's always good to have a cute bag to put them in! 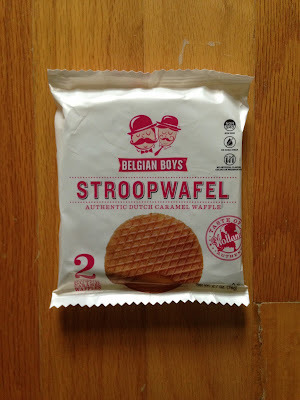 The treat included this month was Belgian Boys De Stroopwafel. This caramel filled waffle looks totally delicious. I can't wait to try this! I love caramel, and it's my guys favorite treat, so I may have to share this one with him. I also received Richer Poorer Hope Slipper Socks. 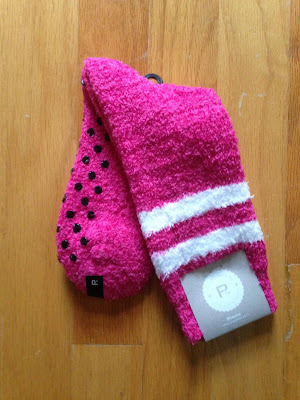 These socks were designed for Popsugar Must Have to support Breast Cancer Awareness Month. I love when I get exclusive products in subscription boxes! And I love socks, especially cozy socks for the cold, damp weather we've been having. These were my favorite item from this month's box! 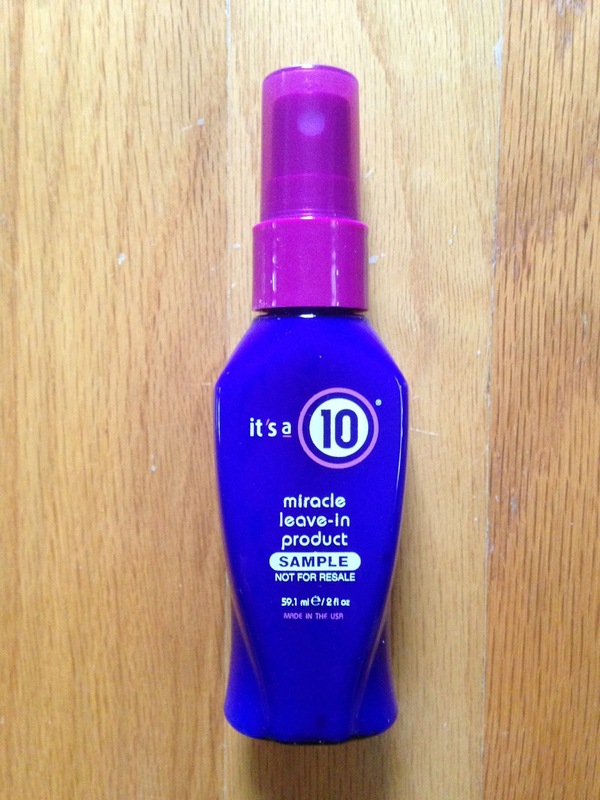 The final special extra item included in this box was It's a 10 Miracle Leave-In Product. This detangles, adds shine, and stops frizz. I've used this product in the past and really like it, so I was happy to have more. I do have quite a few of these types of products from various subscription boxes, but I use them, so they won't go to waste. This is a sample size, but it will still last me quite a while. 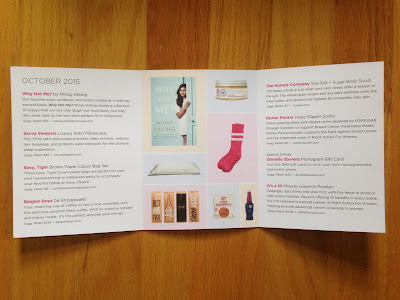 The October Popsugar Must Have box was perfect for Fall weather. I liked everything included, but this wasn't an amazing month in my opinion. I'll use everything, but I'd like to get some unique items in these boxes. I can't wait to see what we get for November! 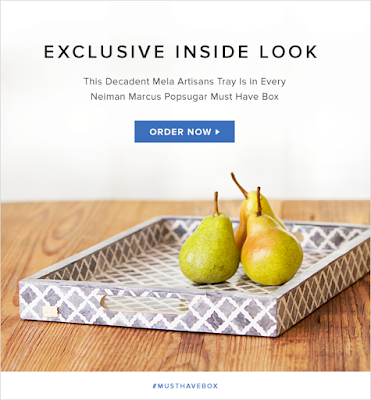 The Popsugar Must Have Limited Edition Neiman Marcus box is now on sale for $250 and will contain over $600 in products. They have released a couple spoilers for the box, but I have decided not to buy it this year. I haven't been very pleased with their Limited Edition boxes lately and the spoilers don't make me want the box. 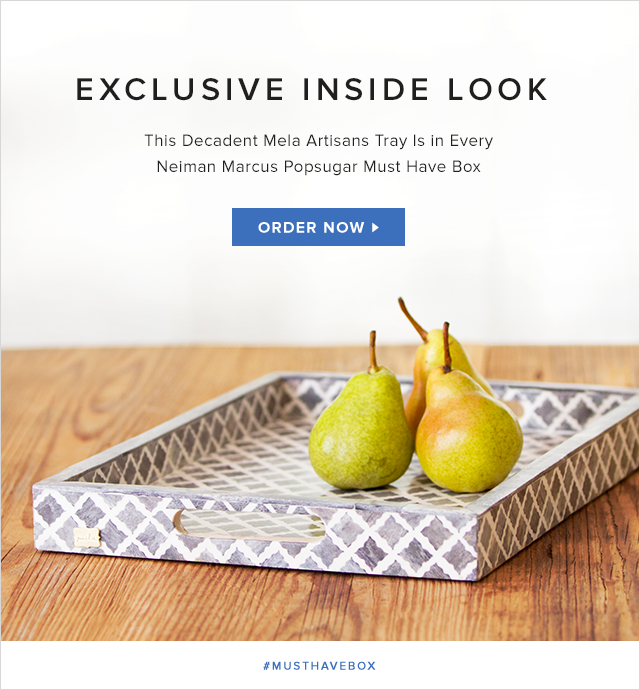 I'll post the spoilers below, so you can see what types of items you'll receive in the Neiman Marcus box.